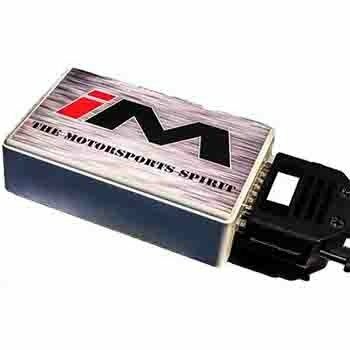 Developed from our racing back ground the IM ECM is a programmed electronic microprocessor controlled device. This module is a "State of the Art" 32 bit microprocessor which works by optimizing fuel volume, fuel timing and fuel pressure. This process enhances the diesel engine’s performance by careful interplay of these values and characteristics, resulting in optimum performance. This unit simply plugs in line on your common rail injection system within the engine bay of the vehicle. The IM digital diesel tuning system is not a "replacement chip" where your ECU is physically opened and its original chip replaced (thus immediately invalidating your vehicle warranty) nor is it a "remap" whose settings can be detected and even deleted during routine servicing. 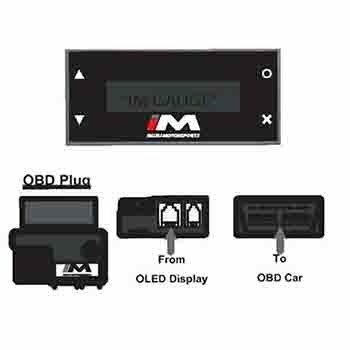 The IM digital Box is plug-in digital tuning system with an additional sophisticated microprocessor controlled tuning chip which will give you substantial, immediate performance and fuel consumption gains. 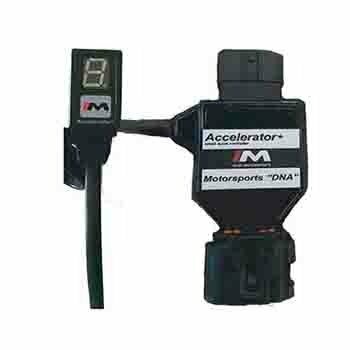 IM Accelerator plus is a throttle response controller that removes response delays on your electronic accelerator pedal. 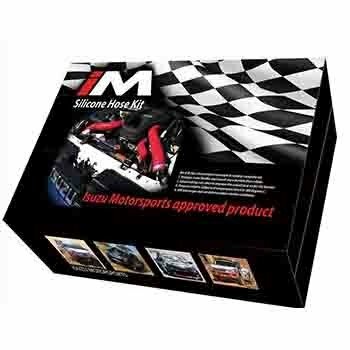 Effectively it allows your engine to respond faster so your car can accelerate faster! You paid lots of money for a serious vehicle. When you press your gas pedal it shouldn’t feel like you are pressing a sponge. Have you ever noticed that older cars tend to be more responsive before digital pedals? We’re giving you that response back! IM Throttle Controller has 9 different control modes to provide drivers with unique acceleration control in their vehicles. Engine coolant temperature digital feedback is an excellent feature because the on-dash sensor is not accurate especially during heavy towing, sand driving and generally forgetting to check temperature gauge. Engine RPM, stop engine over revving Speed Alarm can also set up. MU-X and D-Max high grade red silicone hose intercooler and radiator full hose set. It is a well-proven fact that silicone hoses are stronger, tougher and more flexible than ordinary rubber hoses. IM Silicone Hoses are manufactured from a high-grade silicone and offer superior temperature resistance which makes them ideal for cooling and charged-air applications. They will last longer, perform better and will not deform under extreme conditions. All lM Silicone Hoses are pressure rated to 220psi, temperature rated to 180 degrees celsius.